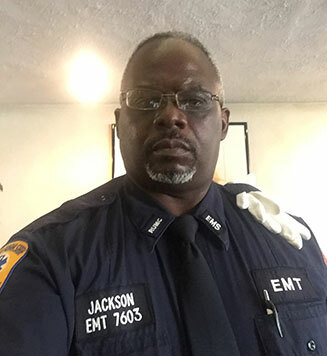 Troy Jackson has been an EMT since 1989 and an instructor since 1991. I am a CLI, First Aid and CPR instructor. I currently work at Richmond University Medical Center (formerly St Vincent’s). I have worked at Bayley Seton Hospital, Staten Island University Hospital and Luthern Medical Center. I was the director of operations for First Response Ambulance Co and the Assistant Director for The City of East Orange EMS. I am also A former NYC Police Officer. You Want to be a NYS EMT by TIMER, Inc, is licensed under a Creative Commons Attribution-NonCommercial-NoDerivs 3.0 United States License.